So, whenever no progress happens on RustDroid, that probably means I am having a game of Team Fortress 2. And to celebrate their recent Jungle Inferno Update, I just fired up a TF2 server. 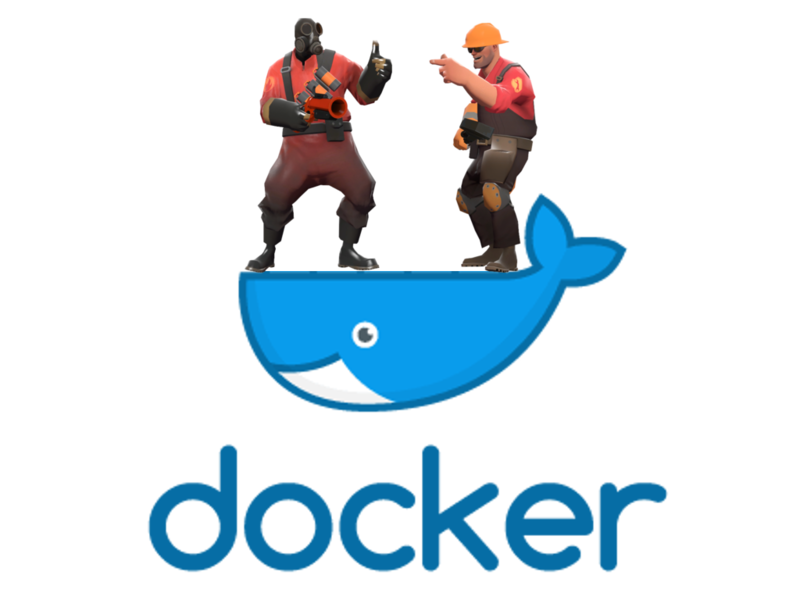 That, as always needs some time investment, so I prepared myself for the future and combined Docker and some TF2 Dedicated Server Files. Resulting in a newly created (or rather forked) TF2 Docker Container, that got all the game files bundled in it and is ready to use. Also, easily configurable, especially, I figured also the Register-Part out and build the ConVars already in, you just need to put in your values.